We’d love your help. Let us know what’s wrong with this preview of Coconut Dreams by Derek Mascarenhas. 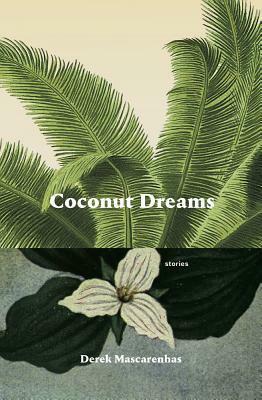 Coconut Dreams explores the lives of the Pinto family through seventeen linked short stories. Starting with a ghost story set in Goa, India in the 1950s, the collection shifts to the unique perspectives of two adolescents, Aiden and Ally Pinto. Both first generation Canadians, these siblings tackle their adventures in a predominantly white suburb with innocence, intelligen Coconut Dreams explores the lives of the Pinto family through seventeen linked short stories. Starting with a ghost story set in Goa, India in the 1950s, the collection shifts to the unique perspectives of two adolescents, Aiden and Ally Pinto. Both first generation Canadians, these siblings tackle their adventures in a predominantly white suburb with innocence, intelligence and a timid foot in two distinct cultures. Derek Mascarenhas takes a fresh look at the world of the new immigrant and the South Asian experience in Canada. In these stories, a daughter questions her father's love at an IKEA grand opening; an aunt remembers a safari-gone-wrong in Kenya; an uncle's unrequited love is confronted at a Hamilton Goan picnic; a boy tests his faith amidst a school-yard brawl; and a childhood love letter is exchanged during the building of a backyard deck. Singularly and collectively, these stories will move the reader with their engaging narratives and authentic voices. "The stories in Derek Mascarenhas's Coconut Dreams remind one of the high stakes in a child's world, the way that danger looms just fractionally outside safety. Like all proper enchantments, these vignettes are dark, light, strange, and vivid such that they delight and charm in equal portions." --Kathryn Kuitenbrouwer, author of All the Broken Things, Perfecting, and The Nettle Spinner. To ask other readers questions about Coconut Dreams, please sign up.